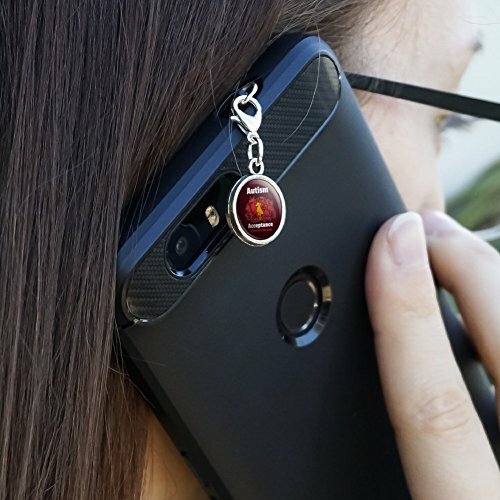 Add some extra fun and protection to your phone or other devices with this unique charm. Fits standard headphone jacks on most mobile/smart phones, music players and other portable devices including iPhones, iPads, iPods, Galaxy phones and more. 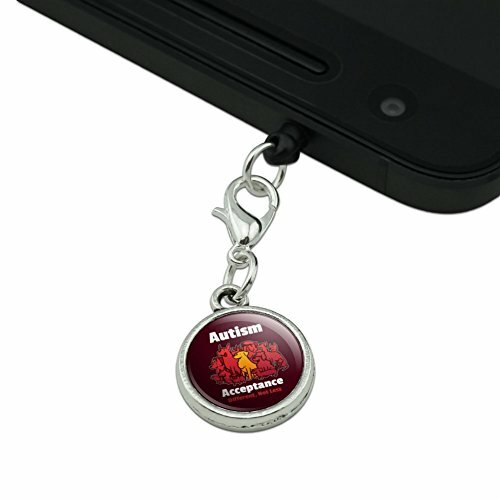 The charm plugs directly into your headphone jack and keeps the area free of dust and debris. The charm is attached to the plastic jack insert via a metal lobster claw. Made of metal and includes resin-topped design on both sides. 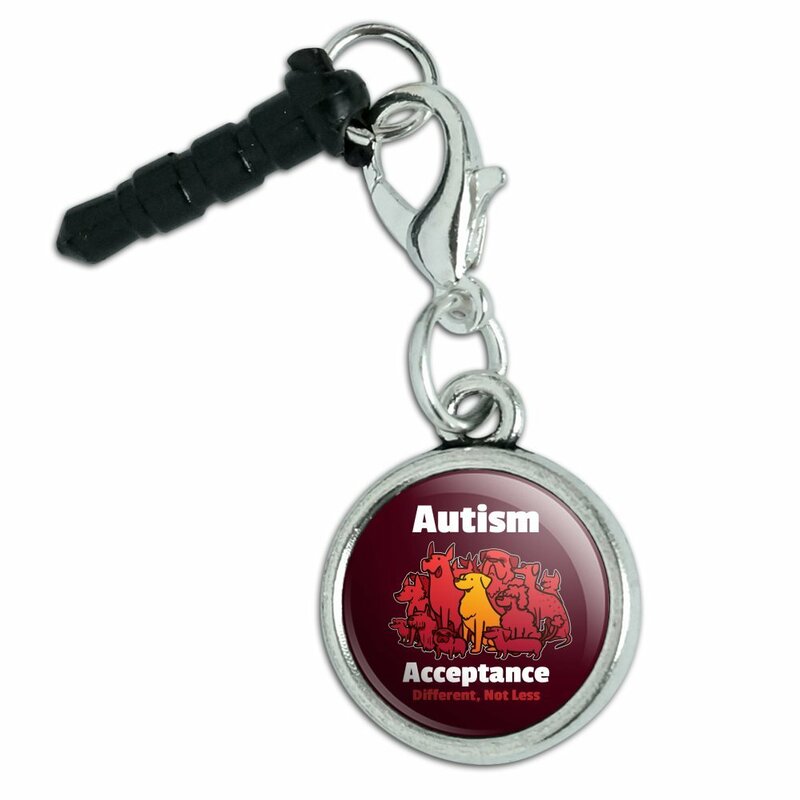 The charm is approximately 0.6" (15mm) in diameter. This adorable design with cute dogs puts a sweet spin on autism acceptance.